Faure Quartett. DG 00289 476 6323. Many small chamber works--quartets, quintets, and the like--remind me in tone and structure of miniature symphonies. None more so than the two quartets presented here, Brahms's Quartets Nos. 1 and 3 for Piano, Violin, Viola, and Cello. Although their four-movement construction obviously mimics larger-scale pieces, it's more a matter of Brahms's large-scale vision that tends to make me think of things symphonic. If Brahms had orchestrated these two works for full orchestra, they might have made splendid symphonies for him. In fact, Arnold Schoenberg in 1937 did transcribe the First Quartet for orchestra and humorously called it Brahms's "Fifth Symphony." Yes, these two small-scale chamber works bear all the hallmarks of Brahms's symphonic style, and the Faure Quartett perform them in a most satisfactory and unified manner. The Piano Quartet No. 1 in g-minor, op. 25 begins with a big Allegro containing a number of alternating sentiments, setting the stage for the elaborate harmonies to follow. The Intermezzo is surprisingly glib and playful; the Andante is charming and lively, more than a little reminiscent of Schubert; and the Rondo finale is sprightly and quick, with a gypsy feel to it. Brahms called his Piano Quartet No. 3 in c-minor, op. 60 "suicide music," presumably because of its somber nature. The booklet note suggests the composer may have been in a doleful mood when he wrote it because of his prolonged love for the wife of his best friend, Robert Schumann, a love that could not be. In any case, the music may be in the sorrowful vein of much Brahms, but it's lovely and heartfelt as well. The opening Allegro provides the proper degree of grave sobriety. The second-movement Scherzo is brief, fleeting, and fast, while also being quite earnest and practically a work unto itself. These preliminary movements lead to the centerpiece, the heart, of the composition, the Andante, where Brahms registers his most serious notes of melancholy and creates some of the most-poignant and affecting music in any of his oeuvre. It leaves one rather emotionally drained and spent, but to the good. The Allegro Finale that concludes the work is almost anticlimactic at this point, as we really don't need anything more to break the mood; however, it manages to follow up in an appropriately well-tempered spirit, with intimations of Beethoven along the way. 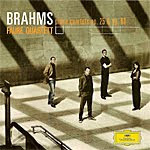 The Faure Quartett, formed in 1995, consists of Erika Geldsetzer, violin; Sascha Frombling, viola; Konstantin Heidrich, cello; and Dirk Mommertz, piano. They play with sensitivity, refinement, and grace, and, more important, they play as one. Although their instruments intertwine and support each other, they sound of a whole, a single instrument getting into the music, with no single player dominating despite the titles of these works being "piano" quartets. DG's sound complements the Faure Quartett's singleness of purpose, making the group appear larger and grander than a mere four people. The sonics are warm, fairly close, yet fairly soft. Overall, the sound is quite smooth and agreeable and helps the music go down most comfortably. Lawrence Foster, Czech Philharmonic Orchestra. PentaTone Classics PTC 5186 326. 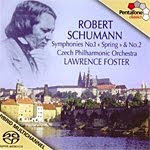 It's hard to knock anything by Robert Schumann (1810-1856), especially where the "Spring" Symphony is concerned. But I'll do it anyway. Schumann's First Symphony, composed and premiered in 1841, is a jubilant, ebullient, zestfully intoxicating work that should inspire in listeners the very best feelings of spring's new life and new hope. Indeed, under conductor Lawrence Foster and the Czech Philharmonic, it does much of this. It's just that a good part of the performance is undermined by its live recording (which is at least mercifully free of audience noise and applause). Recorded in Prague in 2007, the interpretation is quick paced and reasonably quick witted, yet it loses a lot of its joy within a veritable fog of hall reverberation and overactive musical bloom. I wonder if this veiling is partly the result of folding the rear channels into the front, because I listened only to PentaTone's hybrid Super Audio CD in the two-channel stereo mode. It's quite possible that in SACD surround sound, the sonics open up to greater clarity. As things stand, while I found the sound wanting, I found Foster's reading of the "Spring" Symphony spirited and lively, without always being too characterful; and I found the same to an even greater degree with the Second Symphony (1846). For comparison purposes, I put on Wolfgang Sawallisch and the Dresden Staatskapelle (EMI) and Otto Klemperer and the Philharmonia Orchestra (also EMI), recordings made thirty and forty years earlier. Both recordings sounded better to my ears (the older Klemperer actually sounding the best), and both seemed far more colorful in describing the varying moods of the music. I'd say if you have to have these symphonies in surround sound, the PentaTone is going to be your best, possibly your only, choice. But if you're after the best possible performances, the two EMI sets I mentioned, and others by Zinman (Arte Nova), Goodman (RCA), Kubelik (Sony), Muti (EMI), Gardiner (DG), and Dausgaard (BIS) are probably surer bets. Also Granados: Intermezzo; Ravel: Pavane pour une infante defunte and Alborarda del Gracioso. Nati Mistral; Rafael Fruhbeck de Burgos, New Philharmonia. LIM K2HD 023. 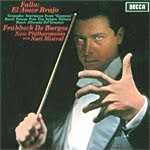 There is no doubt this classic 1966 Decca rendition of Falla's perennial favorite ballet-with-song El Amor Brujo has weathered the test of time quite well. Dutoit's equally beguiling rendition challenged it more recently, but de Burgos's way with Falla is certainly affectionate in the way he lavishes loving care and attention on every phrase. Nor does de Burgos forget the color and excitement of Spain, and audiophiles can be justifiably proud of showing it off to wow friends with their audio systems. The bigger question is whether it's worth spending about twice as much money on this remastering of the piece when it comes only in the configuration cited above, and Decca's own various mid-priced editions come with more material. Does the new LIM (Lasting Impression Music) remastering really sound that good? LIM's owner and producer, Winston Ma, would assure you it is that good. As he points out, the new K2HD processing is better even than XRCD2. Well, that is his opinion, and what else would you expect him to say? But the proof is in the pudding, and there is no doubt this thing does sound good. The K2HD remastering brings out all of the recording's dynamics and detail, providing a wide stereo spread and a fine sense of orchestral depth, perhaps a hair more so than on my old Decca "Classic Sound" CD. More important, the K2HD processing appears to offer up a smoother overall sound, which is most pleasing on the ear. However, some listeners may argue that it takes away some of the original CD's transparency by sounding slightly softer. I don't know. I leave that discussion to dedicated audiophiles. I only know I liked what I heard, the K2HD business making a good thing better. Twice as good? Not quite. But different in a pleasing way and different enough to make it worthwhile to discerning, deep-pocketed buyers. EMI issued this 1967 Mahler Ninth recording a few years earlier in their "Klemperer Legacy" series, but I never had the chance to buy or hear it. Which means I had not heard it since its old LP days and had quite forgotten how persuasive it is. Now that it's been remastered in EMI's "Great Performances of the Century" line, it appears to sound better than ever. In fact, it sounds better than practically anything currently on the market, new or old. Although Mahler's last completed symphony was the crowning jewel in his symphonic cycle, beauteous and sublime, it has always been somewhat ambiguous. Many listeners have interpreted its expressionistic content as an optimistic journey into the light, ending in sweet and everlasting repose, while others have seen it as a pessimistic view of the world's future where degeneration and decay are our lot. I favor the former view, but I suppose there is something to be said for the second viewpoint as well. At the time of the work's composition in 1909, Mahler was aware that he was gravely ill, and in addition he may have foreseen the coming of the Great War and the end of civilization as his generation had known it. So, there is every possibility of interpreting the symphony optimistically or pessimistically. Klemperer, who first performed the work in 1925, just thirteen years after its première, knew the piece backwards and wisely took mostly the former course. In my own view, the opening and closing movements are meant to be relaxed, serene, the first movement an admiration of life and all its beauty, the last a resignation of life's passing and a kind of contentment with what is yet to come. In between, Mahler provides some doubt, with a somewhat unruly yet bucolic second movement, followed by one of his patented, parodic Rondo-Burleskes. Whilst Klemperer judges these movements perfectly, he never aggrandizes them or makes them too alluringly lyrical. Instead, he is a no-nonsense sort of guy who lets the music speak for itself. And, of course, that's what Klemperer did best, allowing the structure of grand music to speak grandly. Even though I am also greatly fond of Barbirolli's performance with the Berlin Philharmonic (EMI) and Haitink's with the Concertgebouw (Philips), I believe Klemperer's reading deserves to be among their company in the top ranking. 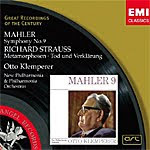 Because Klemperer's Mahler Ninth is just a few minutes beyond the capacity of a single CD, EMI have spread it out over two discs, with the final movement on disc two, along with Richard Strauss's Metamorphosen and Death and Transfiguration. Klemperer recorded the Strauss pieces in 1961, also with the Philharmonia Orchestra but several years before he did the Mahler, and the sound is of the same high quality as, maybe even better than, the 1967 sound. In both cases, it is superb: detailed yet natural, with a wide stereo spread, good orchestral depth, and a warm ambient bloom. I know that Barbirolli, Abbado, Haitink, Karajan, Bernstein, and others have produced fine Mahler Ninths, but to my mind and my ears, none of them is any better than Klemperer's. It is a joy. Also, American Suite. Libor Pesek, Royal Liverpool Philharmonic Orchestra. Virgin Classics 50999 22039 2 (two-disc set). Thank heaven for reissues. It's pretty hard to keep up with new recordings, even today when the number of new classical releases has dwindled quite a lot. But in the Seventies and Eighties, it was almost impossible to listen to everything that came out. 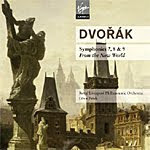 So, these Dvorak symphonies from conductor Libor Pesek sailed right by me. Indeed, I'd never even known about them until this budget-priced set came along. More's the pity for me, too, because I've missed out all these years. Fortunately, it's never too late. For some time I've been recommending Colin Davis's Concertgebouw set of Dvorak's last three and most-famous symphonies on a mid-price Philips Duo, at least for buyers interested in all three symphonies at a low price. Good sound and good performances, hard to beat. Until now. At just over half the cost, this Virgin set from 1988-89 must currently take pride of place. Not only are Pesek's performances as good or better than Davis's, the sound is more dynamic and transparent. Critics often consider Dvorak's Symphony No. 7 his darkest work, which is not quite how Pesek handles it. Pesek presents it as more bucolic and folk-inflected than most other conductors' interpretations, and for me at least, it works. Truth be told, I've never really cared overmuch for the Seventh, until now, and Pesek has made me a believer. The Symphony No. 8 is, of course, Dvorak's most pastoral, most melodic, most cheerful symphony, usually performed as a direct contrast to No. 7. Yet here, Pesek points up the similarities, while still maintaining the piece's inherently joyous spirit. It is a delight. Which brings us to No. 9, "From the New World," where Pesek's relaxed manner is perhaps a touch wanting in pure adrenaline. I'd like to have heard greater spark and spontaneity, but, then, I'm used to Kertesz's celebrated LSO version (Decca), and hardly anything stands up to that. The sound the Virgin engineers afforded Pesek and the Royal Liverpool Philharmonic stands up well by any standards. It is a tad forward and edgy in the upper strings, true, but only on occasion, and it could have done with a bit more deep bass. Otherwise, it has fine depth and breadth and an enormously wide dynamic range. By comparison, the Concertgebouw under Davis seems overly warm and a touch veiled. Buying separate discs with different conductors continues to be a person's best bet in building a classical library, and in this repertoire you'll find a number of worthwhile contenders. Still, most people reading this review probably already have favorites in their collection and are interested in alternative interpretative viewpoints. For all three final symphonies at a bargain price, Pesek is hard to beat, whether you're just beginning a library or you're an avid collector. 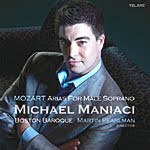 Michael Maniaci, male soprano; Martin Pearlman, Boston Baroque. Telarc TEL-31827-02. This one might take a little getting used to. As first listening, one would easily mistake Michael Maniaci's voice for that of a woman's. But a few minutes in, and you begin wondering if the voice isn't just a little huskier, a little more robust, or a tad mellower than the usual soprano. Telarc's booklet notes inform us that castrati voices were common throughout Europe from about the mid-sixteenth century on, owing to the Bible's injunction against women speaking in churches (I. Corinthians, 14:34). By Mozart's day, however, people generally frowned upon the practice and it began dying out. In the composer's later life he was transcribing his parts for castrato voice for tenors. On this disc we get five arias from three of Mozart's operas for which he originally wrote castrati singing parts, Idomeneo, Lucio Silla, and La Clemenza di Tito, plus the solo motet Exsultate, Jubilate. The album lasts just over an hour, and Boston Baroque Orchestra accompany Mr. Maniaci, who describes himself not as a "castrato," thank heaven, but as a natural male soprano. As he says, "While my vocal cords lengthened and thickened somewhat, they didn't do so to the extent that most men experience." Therefore, not only do we get to hear something resembling the male castrato voice, we get to hear Mr. Maniaci supported by an orchestra playing on period instruments, much as Mozart would have heard. Of course, it's impossible to know exactly what any voice or any orchestra actually sounded like in the days before recordings, but I think we can be comfortably sure that this is a pretty good approximation. The question, I suppose, is why we should care whether Mr. Maniaci's voice approximates an actual castrato or not. I mean, after all, by the twentieth century the castrati were practically nonexistent, and women had taken over the high notes. So, is Maniaci's voice a mere curiosity, is it a reminder for the purist of days gone by, or is it a genuine listening pleasure for the here and now? I'd say the latter. The voice may appear a touch odd at first, and one might wonder why a woman or a counter-tenor hadn't just done the singing. But as you listen, you begin to hear the sheer beauty of Maniaci's tone, a sound quite unlike anything a woman or a man generally produces. As for Telarc's sound, it complements the voice, being somewhat mellow and warm itself. Don't expect ultimate transparency here, though. The acoustic is rather underwhelming for audiophiles expecting more air around the instruments, more stage depth, more clear-cut definition, and the like. Instead, you may find the sound somewhat veiled and soft; yet, as I say, that's probably what Mr. Manciaci's voice needs to make the best impression. Alice Sara Ott, piano. DG 477 8095. For the past four decades or so I have been quite content with Arthur Rubinstein's RCA recordings of the Chopin Waltzes on LP and CD, his perfectly chiseled renditions having weathered the tests of time. 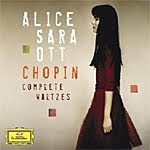 So it is with strong competition that any recording, like this new one from Alice Sara Ott, enters the field. Yet, Ms. Ott's interpretations are different enough, her passions strong enough, and her technical expertise proficient enough to make her new DG release more of a complement to Rubinstein's album rather than a rival to it. Here's the thing one cannot help noticing in the first few Waltzes: Ms. Ott is more mercurial than Rubinstein. She exercises a wider and more-flexible range of tempos and dynamic contrasts than Rubinstein, pausing more often, changing up more often, speeding up and slowing down more often. Perhaps this is attributable to her age, early twenties when she recorded the program in August of 2009. Where Rubinstein is rock steady, Ms. Ott is more volatile, which, as I say, makes her disc worthwhile for its variation of approach. Nevertheless, she is never anything less than lyrical and poetic throughout, and she displays a genuine love of the music. When she needs to be playful, her music is playful; when she needs to be rhapsodic, she's rhapsodic; when she needs to be melancholy or somber or nostalgic or Romantic, she is up to the task. These are delightful interpretations in almost every way, even if they're not so conventional nor so authoritative as Rubinstein's. Another thing in favor of Ms. Ott's disc is that she is one of only a handful of artists who performs all of Chopin's Waltzes, including the five or six that researchers discovered long after the composer had died. And she prefers to perform them from the original autograph manuscripts, regarding the autograph scores as truer than later published versions. Her attempt, she says, is to find "the true smell, the true colour" of each piece. The DG recording engineers were also apparently attempting to capture true colors, in their case the true color of Ms. Ott's piano, a job the company usually do quite well. I have always enjoyed DG's piano sound, and they do not disappoint one here. The piano is never too close or too far away but miked at a moderate distance to simulate a stage performance from a few rows distance. While the sound is smooth and warm, to be sure, it is also nicely detailed, although not quite up to the standards of Rubinstein's old recording, which still sounds exceptionally good. Regardless, Ms. Ott's recording might just please more modern listeners with its velvety tones. The audio, therefore, reinforces a fine set of performances. Incidentally, DG use a Digipak for this release, which continues to mystify me. People in the industry tell me Digipaks actually cost record companies more than standard jewel cases, so I have to assume the companies feel the public prefers them. Yet for me the Digipak is scary because if it breaks in any way, it's over. It's not like you can simply buy another jewel case. Well, it's neither here nor there. The packaging does look nice, I suppose. Also Fantasia on a Theme by Thomas Tallis; Serenade to Music. Robert Spano, Atlanta Symphony Orchestra and Chamber Chorus. Telarc CD-80676. One can hardly argue against the merits of Ralph Vaughan Williams's Fifth Symphony. It is among the best things he ever wrote, and given that the composer himself is one of the towering figures not only of British music of the twentieth century but music in general, that's saying a lot. This new recording of the Symphony and its several attendant works does it justice. Robert Spano and the Atlanta Symphony Orchestra have never been in better form. Not that any interpretation could probably do harm to Vaughan Williams's score; it's so serene, so calming, so soothing that a conductor would have to have the disposition of a demented lunatic to mishandle its pastoral effects. 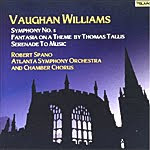 Still, take nothing away from Spanos; he is a most sympathetic supporter of this music, which, incidentally was written during the Second World War to provide some spiritual relief for a war-torn world. Also, it followed the composer's angry, tempestuous Fourth Symphony, written in the mid 1930s in protest of the then-coming War, and the contrasts between the two works couldn't be more dramatic. If you have never heard the Fifth, let me just say that even the Scherzo is so laid back, it melds into the graceful, lulling vapors of the rest of the Symphony. And I have to admit that by the time I reached the third movement Romanza, I had actually fallen asleep. This is not meant as an affront to the Symphony or the performance, just to illustrate the fact that the music is a surefire balm for the cares of the day. I awakened several minutes into the Finale, realized what had happened, and backed up to the beginning of the third movement again. I enjoyed every minute of the disc, even the nap. Telarc's sound also does the work justice, the sonics being smooth and fluent throughout, with an excellent sense of depth and stereo spread left to right. As Vaughan Williams specified no bass drum, we have no patented Telarc low-end to palpitate the senses, and it's better that way. There is nothing to distract the listener from the pure pleasure of the music and the music-making. Also, excerpts from Solomon. 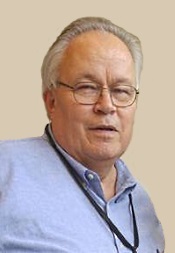 Bernard Labadie, Les Violons du Roy. ATMA ACD2 2569. If it's authenticity you're after, I'd suggest Guglielmo and L'Arte dell'Arco (CPO), Pinnock and the English Concert (DG Archiv), McGegan and the Philharmonia Baroque (Harmonia Mundi), or Savall and Les Concert des Nations (Astree), all of whom play on original period instruments and in an approximation of period style. 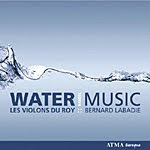 But if you are simply looking for an enjoyable version of Handel's celebrated Water Music played on modern instruments, ATMA's 2007 recording with Bernard Labadie and Les Violons du Roy may be another consideration. If we can believe a newspaper account of the day, a barge carrying some fifty musicians accompanied the King down the Thames, presumably playing Handel's music for His Majesty's amusement. If so, then the Canadian ensemble Les Violons du Roy is short by half, comprising as they do about two dozen players. And they perform on modern instruments. However, the booklet note tells us they have been strongly influenced by recent research into the performance practice of the seventeenth and early eighteenth centuries. If that is also true, you could have fooled me. Their style is their dominant feature, and it seems to me quite modern, insofar as it is smooth, rhythmically well balanced, and lyrically well developed. The performers play with enthusiasm and impart a joy that is undeniable, but at the same time their interpretation of the music is flawlessly fluid, polished, refined, flowing, and seemingly effortless. This is Water Music so graceful, you'd think it was done in water colors. The group's relatively small size imparts a greater intimacy to the music as well as offering somewhat greater transparency to the sound. ATMA engineers recorded the music in the orchestra's new concert hall, and it provides a fine, resonant, yet entirely natural acoustic. The ensemble is well spread out, with reasonable depth, taut low end impact, and a pleasant bloom. Caveats? Two, both minor. Many of the most-recent releases of Handel's Water Music have included as a coupling the composer's Music for the Royal Fireworks. They make natural companions, and a seventy-five-minute CD easily accommodates them both. Here, however, in addition to the standard three Water Music suites (no one's sure what was actually played at the music's première), we get only a few minutes of excerpts from Handel's Solomon, the overture and "The Arrival of the Queen of Sheba." My other concern is that ATMA's cover art is so minimalist, so simplistic, that it will not attract many new potential buyers who see it. This is music that cries out for the reproduction of a painting of barges on the Thames or something that might draw one's attention. But nothing can defeat the music. Remember, my test of anything new to me (music or recording) is whether I want to return to it soon. I listened to this one a second time immediately. Also Bruch: Violin Concerto No. 1*. 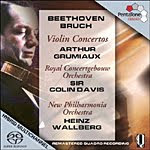 Arthur Grumiaux, violin; Sir Colin Davis; Royal Concertgebouw Orchestra; *Heinz Wallberg; *New Philharmonia Orchestra. PentaTone Classics SACD 5186 120. After an evening of close and careful listening, it is my expert, absolute, and unequivocal opinion that it's a toss-up. Let me explain. Around 1974 Henryk Szeryng recorded the Beethoven Violin Concerto with Bernard Haitink and the Concertgebouw Orchestra for Philips. Around the same time Arthur Grumiaux recorded the same concerto with the same orchestra, this time with Colin Davis, and again for Philips. I always confused the two releases, but ultimately I came to like Szeryng's better-controlled (though marginally slower) account to Grumiaux's smoother, more romantic, but slightly more lax version. After an hour or so comparing this new PentaTone SACD remastering of the Grumiaux performance to Szeryng's, I still confuse them. Choice in the Beethoven Violin Concerto is certainly a wide-open field with dozens of fine competitors, but I'd still say these two are leading contenders for top honors. The ultimate choice between them, however, might be dependent on what the listener prefers for sound and coupling. PentaTone got hold of some of Philips's multichannel tapes, so if you own SACD playback equipment, you can listen to Grumiaux in surround sound. I listened to both discs in two-channel audio, though, through both a standard CD player and an SACD player. The PentaTone disc, you see, is a hybrid that can be played in regular two-channel, SACD two-channel or SACD multichannel. I found the PentaTone sound for Grumiaux a tad fluffy, misty, reverberant, and the ordinary Philips disc for Szeryng a bit tighter and better defined. As couplings, the Philips offers Szeryng and Haitink performing the two Beethoven Violin Romances as well as they've ever been done; and the PentaTone has the Bruch Violin Concerto No. 1, with Heinz Wallberg conducting the New Philharmonia Orchestra. While the Bruch sounds even bigger than the Beethoven, there is no denying it is striking, and both of the PentaTone offerings probably sound even more impressive in surround. Tough choices, but if you're into SACD, you probably can't go wrong with the Grumiaux issue. For regular stereo listening, probably Szeryng. Eldar Nebolsin, piano; Vasily Petrenko, Royal Liverpool Philharmonic Orchestra. Naxos 8.570517. Naxos must have sensed something special about this disc because they gave it special treatment with a fancy slipcover. They were right. The disc is special, with excellent performances and excellent sound, a secure investment all the way around. It seems appropriate that pianist Eldar Nebolsin won first prize at the first Sviantoslav Richter International Piano Competition in 2005; Nebolsin's interpretations of the two Liszt piano concertos remind one quite a lot of Richter's famous recordings. Nebolsin is bold when he needs to be and remarkably poetic, too, producing a First Piano Concerto that is both grand and lyrical. Sometimes it isn't as easy to pull off it seems. 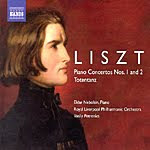 Liszt wrote the First Concerto in four short, cyclically connected movements, unusual in itself, and they are played without a break. Nebolsin brings it off brilliantly. In the Second Concerto, which is graver, more serious, and, as critics would say, more mature, than the First, Nebolsin is appropriately more somber. It's interesting that the Second Piano Concerto never became anywhere near as popular as the First, though, so what do critics know. Nebolsin makes the First Concerto seem cheerful and outgoing by contrast. The accompanying Totentanz is similarly charged. Naxos engineers provide the piano and orchestra with good, clean, wide, robust sound. It's smoother than the old Richter recording on Philips and a bit more transparent than the Brendel recording, also on Philips, although not quite as warm. For a new digital recording at a low price, the Naxos appears to my ears if not a first-place recommendation certainly a surefire addition to a short list of recommendations. Pepe Romero, guitar; Chano Lobato, singer; Maria Magdalena, dancer; Paco Romero, dancer. LIM K2HD 022. There is no doubt this K2HD LIM remastering of the 1988 Philips album "Flamenco" sounds fabulous. The dynamic range is exceptionally wide; the transient attack and impact are as strong as they could possibly be; the width and depth of image places the performers at realistic distances across and behind the speakers; and the whole show possesses an ambient naturalism that puts the listener in the very room with the artists. The sound is superclean and amazingly vivid. The only problem I had with the music is that I don't personally care all that much for flamenco. Understand, I love Pepe Romero's guitar playing, and I have a number of his recordings, including a Mercury disc of flamenco music he made almost thirty years before this one. The Romeros obviously have flamenco in their blood, and Pepe was probably born with a guitar in his baby hands. The playing here is terrific, to say the least. But for me, a couple of the tracks became a little nerve-wracking, especially the several cuts that contain dancing, which started to give a bit of a headache. Nor did I particularly care for Chano Lobato's singing in several other numbers. Fortunately, that still left enough purely instrumental tracks that I could appreciate fully. As I say, this is splendid flamenco playing, one of the best flamenco albums ever recorded, and LIM's disc reproduction does it justice. If you like the music, I'd have to say this one is a must. When you think of Haydn interpreters, conductor Otto Klemperer may not be the first name that springs to mind. One tends to think of Klemperer in terms of grand, large-scale productions, recordings of Beethoven, Brahms, Bruckner, Mahler, Wagner, that kind of thing. Yet he had a felicitous touch with lighter material as well, as his discs of Haydn, Mendelssohn, Mozart, Schubert, and Schumann demonstrate. If you haven't heard his Haydn, you're in for a treat. 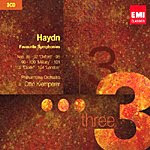 What's more, if you missed this three-disc set of late Haydn symphonies the first time EMI issued it on CD in the early 1990s, here is your second chance to buy it in a 2008 repackaging. This is big-scale Haydn, generally slow and steady and deliberate, emphasizing the music's architecture rather than displaying the overt jauntiness of, say, a Beecham or the energetic ardor of a period-instruments group. In most cases, Klemperer's Haydn is like listening to the composer with new ears. 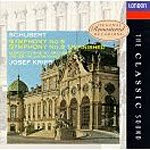 Outstanding among the eight symphonies presented in the set are Nos. 88, 101, 102, and 104, with Symphony No. 101 "The Clock" a good example of the best of the Klemperer style. It is an enchantingly beautiful performance, the argument strong and the rhythms feather light. This "Clock" is no modern digital affair, moving without heart or soul, nor is it an old grandfather snoozing laboriously in a corner. This "Clock" is graceful and ornate, all filigree and glass, inviting us to relax and take our time. Likewise do the three other symphonies I mentioned combine refinement and reason in perfect eighteenth-century order. Regarding the symphonies I enjoyed less well, they are perhaps overmuch of a good thing, the conductor trying too hard to make every piece sound like a precursor to Beethoven. But when Klemperer is off, it isn't for lack of trying. I enjoyed these performances immensely, and even his Symphony No. 100 "Military" comes off with unexpected élan. These interpretations are for people seeking perhaps something a little out of the ordinary, yet the interpretations remain rooted firmly in the classical tradition. The readings are uniquely personal and, as such, variable; but when the music is good, it's worth a hundred of anything else. Sonically, the discs hold up pretty well, too. The recordings derive from sessions ranging from 1960 to 1971, with little difference among them. They are all full and warm and wide-ranging, with good breadth and detailing. My only minor disappointment is that EMI appear to have used the same 1990 masterings they used for their earlier CD release and don't seem to have remastered the set using their newer Abby Road Technology (ART). Still, it probably doesn't need much further work, and there may not have been much more they could do with it, anyway. The recordings sound just fine. Maurizio Pollini, piano; Vienna Philharmonic. DG 00289 477 5795. The relentless procession of live recordings from major record companies marches on. Ostensibly, the companies will tell you they do it to capture the spirit of the moment, the excitement of the live event. That's true, of course, but it's also a pretty good deal for them. Studio time can be expensive, especially when it involves a large symphony orchestra. So the company get an audience willing to pay high prices to listen to a concert, they tape the concert, and then they sell CDs of the concert for more high prices. The audience essentially underwrites the recording, and the recording companies can't lose. Unfortunately, the buyers of the CDs lose a little something because they almost never get a recording that sounds as good as what might have been produced in a studio or in an empty hall. 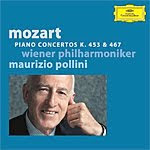 Here, we have the great pianist Maurizio Pollini playing two great Mozart concertos and conducting the great Vienna Philharmonic from the keyboard. It's a terrific combination except for the sound and the audience. DG engineers edited the performances from various concerts Pollini performed during May of 2005, and the background noise varies according to how quiet any given audience was at the time. So, we might hear a constant shuffling of feet during one movement or a wheezing during another or the turning of pages in another or what sounds like Pollini himself grunting or humming along with the music in several others. Then, at the very end, to ensure that we know it's a real live performance, we get an eruption of applause that pretty much destroys the mood of both works. I'd say this is doubly unfortunate in the case of Pollini because he is one of the world's greatest living pianists, among the handful of best. And his Mozart is nothing short of brilliant, his playing the most fluid, the most graceful, the most effortless imaginable. I loved every musical moment of both concertos; I just didn't care for the nonmusical distractions. Well, at least DG had the good sense to record these things as close up as possible to minimize the audience noise, even if it tends to lessen the reality of the experience. Still, even the close-up miking didn't entirely help. One other nonmusical distraction: Why must so many disc covers and booklet inserts constantly refer to musical compositions only by their catalogue numbers, these being K. 453 and K. 467, for instance? Do they expect all buyers and listeners to recognize concertos and symphonies by these catalogue numbers instead of their more-conventional chronological numbers? For those of you not familiar with the titles K. 453 and K. 467, they are also known as Concertos Nos. 17 and 21. Ah, No. 21, you say? Yes, that's the one with the familiar "Elvira Madigan" theme in the middle, isn't it? You wouldn't know it by the way this disc is packaged. Also Sinfonia in un tempo and Sinfonia per Antigenida. 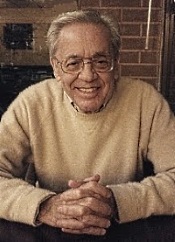 Antonio De Almeida, Moscow Symphony Orchestra. Naxos 8.570881. One advantage of a record company like Naxos that releases a good number of fairly inexpensive recordings each month is that it allows them to be a bit more flexible than other companies in the composers they cover. Thus, we get a lot of Naxos releases devoted to composers we may never have heard of. Such is the case with Gian Francesco Malipiero (1883-1973), an Italian composer reasonably well known in his lifetime, who has since fallen out of favor. Malipiero was quite the prolific writer, having composed seventeen symphonies (and symphonies he called "sinfonias") plus a number of operas, ballets, chamber, and choral pieces, as well as editing the complete works of Monteverdi. Naxos are now releasing as much of the man's output as possible, including the present recording, originally issued in 1993 on the full-priced Marco Polo label and reissued in 2009 as part of their budget-priced line. 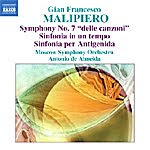 The album, the fourth volume in a series of Malipiero discs, contains one "symphony" and two "sinfonias." Apparently, the man had a certain phobia about the naming of his compositions and at one point in his career said he had given up writing symphonies altogether. He went on to write seven more. Things begin with the Symphony No. 7, written in 1948 and subtitled "delle canzoni" ("of the songs"), a sprightly, lyrical little work, scored for a normal-sized orchestra, though not very big by some standards, which may help to explain, perhaps, why the sound in it is so lucid. The Symphony doesn't seem so much a cogent whole as it does a succession of sometimes entirely unrelated melodies, yet it is pleasant enough, with touches of Copland, of all people, thrown in. The Sinfonia in un tempo (1950) that follows is somewhat deceiving because it is not, as its title implies, in one tempo at all (marked Andante) but actually contains four distinct movements, albeit without pauses between them. It is longer than the Seventh, more complex, and more contemplative. That said, it is also more tedious. The program concludes with the Sinfonia per Antigenida (1962), the darkest, most foreboding, and most bizarre of the three symphonies on the disc. It is more interesting than the preceding Sinfonia, with some fascinating instrumental parts for piccolo and percussion. Even though it is busier than the other works, it maintains a consistent, if dour, tone throughout, held together, no doubt, as much by conductor Antonio de Almeida as by the writing of the composer. While the studio sound Naxos produce with the Moscow Symphony Orchestra is not too warm in the opening number, without much body or bass, it has the advantage of being nicely transparent. In the two Sinfonias, we hear more mid-bass fullness, although it comes with a bit of edgy congestion in the loudest passages. Also R. Strauss: Metamorphosen. Sir John Barbirolli, New Philharmonia Orchestra. EMI 50999 2 12963 2 (2-disc set). Here's another classic that the folks at EMI have remastered in their "Great Recordings of the Century" series. 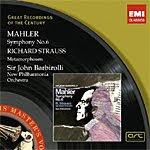 I'm not sure this 1967 recording from Sir John Barbirolli is actually a "Great Recording of the Century," given that it presents a highly idiosyncratic view of Mahler's Sixth Symphony, but who am I to argue. I know I've always liked the interpretation, whether it's pure Mahler or not. Establishing its tone in the first moments, Barbirolli offers a performance of lingering contemplation from the very start, the conductor lovingly dwelling on and sustaining Mahler's dark, tragic, often grotesque moods. It is not a reading I could recommend without caution, yet it is one I would not personally want anywhere but at the top of my own personal list. For the not-so-adventurous listener, there are still good performances from Haitink (Philips), Abbado (DG), Szell (Sony), Solti (Decca), Bernstein (Sony), Horenstein (Unicorn), Tennstedt (EMI), Karajan (DG), and others, with their more-conventional, but for me ultimately less-involving, styles. Anyway, Barbirolli offers up a vision of Mahler that is quite broad, appropriately ambiguous, a little goofy in the Scherzo, lovely in the Andante (which comes as the second movement, according to Mahler's revised order), and filled with the conflicting moods of love and death, doom and gloom that Mahler enjoyed exploring. Along with the Sixth Symphony we get Barbirolli's performance of Richard Strauss's "Study for 23 Solo Strings," called "Metamorphosen." Strauss wrote it at the end of World War II as a sort of elegy, the music sublimely suggesting--hoping--that something different, something changed for the better, would rise from the ashes of the horror. EMI's sound could hardly be better. It is without doubt the best sound the Sixth Symphony and maybe even "Metamorphosen" have ever been afforded, better even than Haitink's fine digital release of Mahler. Coming from 1967, the middle of EMI's golden age of producers and engineers Bishop, Parker, Anderson, and Brown, the sonics are clean, well balanced, wide-ranging, and naturally transparent--a joy to listen to, and now made a touch smoother through EMI's Abbey Road technology. Of course, the clarity of the new medium makes Sir John's audible contributions all the more apparent--you'll hear him wheezing throughout the proceedings--but they are a minor distraction in an otherwise treasurable recording. Sir Charles Mackerras, Orchestra of the Age of Enlightenment. Virgin Classics Veritas VC 7 90708-2.
Who says period-instruments bands have to play at frantic speeds or sound edgy and hard? The way the Orchestra of the Age of Enlightenment play and the way Virgin record them, they sound positively mellow. This 1987 recording has been around now for quite some time, but I was reminded of it after listening again to Josef Krips's classic Decca recording from almost thirty years earlier. 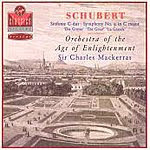 The Krips reading of the Schubert Ninth uses a full modern orchestra, while Sir Charles Mackerras uses a slightly smaller period-instruments group, so the two performances aren't really comparable. They're more complementary. Moreover, Mackerras not only uses a smaller body of performers (though still substantial at about sixty performers) playing on authentic period instruments, he also observes all the repeats and mainly follows the autograph manuscript score. As Mackerras notes in the disc's accompanying booklet, Schubert marks the tempo in the very opening of the work differently than most conductors play it, so with Mackerras the Andante introduction flows more easily into the following Allegro. Mackerras follows this up by observing that Schubert wanted most of the movements paced a bit slower than we usually hear them, resulting in a greater continuity throughout the entire piece than we normally hear. It's true that under Mackerras there is also a certain degree of sameness about the symphony; yet, if anything, it serves to bring out the work's lyrical qualities more than ever, and it helps to dispel the notion that Schubert was making something of a mishmash with the symphony. In this latter regard, it's also of interest that for years during and after Beethoven's lifetime, hardly anybody produced a major symphony; composers must have figured Beethoven had already done it better than anybody else, so why bother. (It would be a few years, even some decades, before Mendelssohn's and Schumann's symphonies appeared.) Schubert finished his Ninth in 1827, a year or two before his premature death in his early thirties, and he never heard it performed publicly. He wrote his earlier works mostly when he was in his teens, and people didn't take them too seriously. Then he left his Eighth unfinished. So, while we take Schubert's symphonies for granted today as major parts of the basic repertoire, almost nobody, including the composer, heard most of them in the composer's lifetime. Anyway, remember that word "mellow" I mentioned earlier? It really does describe the sound of this recording pretty well. Yes, the violins produce their customary "period" sounds, and, no, they don't sound as smooth as modern violins would. But they don't grate on the ears the way some period instruments do, either. We also get a fine stereo spread and a reasonable sense of depth to the orchestra. All around, it's an enjoyable listening experience. Now, is Mackerras at the top of the recommended list of Ninths? Well, it's close. While it doesn't convey the airy cheerfulness of Krips (Decca), the Olympic grandeur or Szell (Sony), or the magisterial authority of Klemperer (EMI) or Wand (EMI), it does have authenticity on its side, something closer to what the composer had in mind than the others, and it's definitely among the more radiant performances around. Josef Krips, Vienna Philharmonic and London Symphony Orchestras. Decca 476 1551. The Schubert Ninth Symphony has always been a favorite piece of music, but I had quite forgotten how very good Josef Krips's 1958 LSO recording of it is. I owned the performance on LP for years, but when I listened to it on CD the year Decca first issued the disc (at a friend's house), I found it sounded too bright and edgy for my taste. I never actually owned the disc on CD myself, though, until I got this 2004 Decca remastering. The CD is still a tad bright and edgy, with a touch of noticeable but unobtrusive background noise, but the sound is better than I remembered it. The interpretation reminded me once again how very good Krips was in this music. Everything about his performance of the Ninth is as perfect as one could want. No reservations about the music's length being too extreme, because if anything the work flies by all too fast, it's so enjoyable. No reservations about the tempos being too weighty, too slow, or too fast for that matter, because Krips takes every movement at an ideal speed, never sluggish, never frenetic. And no reservations about what Schubert was up to in the piece, because Krips makes it clear that his Schubert is light, lyrical, and joyous, with no moody, philosophical arguments in sight. It is a splendid performance in every way. Krips's later, 1969 recording of the Schubert Eighth Symphony, the "Unfinished," with the Vienna Philharmonic, which Decca include on the disc, is also quite good, but it is not quite in the same league as his Ninth, lacking in the feeling of sheer, exuberant delight he brought earlier. In terms of sound, however, the later recording is definitely smoother and more refined. Still, the clarity and transparency of the earlier Ninth recording make it more than acceptable, and, frankly, in neither recording is the sonic quality absolutely state-of-the-art. Nevertheless, it's good enough, making it pretty hard to complain about a coupling like this. 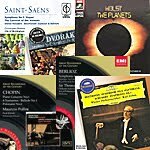 Here are a few of my absolute favorite classical recordings (listed alphabetically), which the reader may find of interest. They are major, basic-repertoire, warhorse items to be sure. There is a reason why great music is great music, after all, and to have chosen a handful of obscure, esoteric works as personal favorites would have seemed to me pretentious and dishonest. The hard part, of course, was narrowing down the list from thousands of favorites to a precious few, but I did my best. Incidentally, because I value these recordings so much, I own most of them in somewhat hard-to-get and relatively expensive Japanese and German remasterings, but for the purpose of this list I have indicated their availability in domestic releases. For those buyers adventurous enough (and with deep-enough pockets), I suggest trying Amazon Japan, Amazon France, Amazon Germany, Amazon England, and the HMV Shop, Japan. They stock almost everything, but shipping, especially from Amazon Japan, can be a jolt. The problem I had here was deciding which of several different recordings of the "Pastoral Symphony" I liked best. The other contenders--Fritz Reiner, Bruno Walter, Otto Klemperer, and Eugene Jochum--made the choice tough, but I went finally with Bohm's gentle, genial approach. No one conveys the spirit, the color, and the humor of this work better than Sir Thomas Beecham. I alphabetized this list, but if I were pinned down to name my single most-favored disc in the world, it would probably be this one. Yeah, I'm a hopeless Romantic. Arthur Rubinstein was a master of Chopin. And while I also love individual Chopin pieces by Pollini, Cliburn, and others, it is Rubinstein who excelled in all areas Chopin. His two-disc set of the complete Nocturnes may seem overly cool, calculated, or precise to some ears and impossibly Romantic to others; to me, however, it sounds just right, and in RCA's latest remastering, it sounds sonically impressive as well. Leopold Stokowski's 1970 Decca recording of La Mer with the LSO has been a favorite of mine for decades, but it wasn't until HDTT (High Definition Tape Transfers) remastered it that I finally heard it as the old maestro meant it to be heard. It's still not the most-natural sound in the world, but it's close enough, and it enhances what is already a commanding performance. Istvan Kertesz recorded the Dvorak Ninth a few years earlier in his career for Decca and did it very well, but this later one is even more mature and more spellbinding. For a terrific pick-me-up, this delightful little concerto is just the thing, and no one has done it up better than Pepe Romero, with Marriner and the Academy. Everyone has to have a copy of Handel's most-famous orchestral music in their collection, and for me there is none finer than McGegan's recording with the Philharmonia Baroque played on period instruments. I believe you may only find this recording on CD in the complete set of Jochum's Haydn "London Symphonies," but the whole set is worth the money in any case. This has long been an audiophile demo piece for me, and it remains so. In the silent days of Hollywood, filmmakers loved to recommend Ketelbey's music to accompany their movies. It's pure schmaltz and wonderful listening. One of the most-charming operettas ever written, filled with light, frothy tunes, perfectly captured by Elizabeth Schwarzkopf and company in this classic set. The Mahler Ninth was probably Sir John Barbirolli's best recording ever with the Berlin Philharmonic, and it's ravishing all the way around. Really fun stuff in outstanding sound. However, the disc may be a bit hard to get anymore. Some classical-music listeners tend to think of Otto Klemperer as a rather dour, straightlaced conductor, but one listen to this delicate, light-as-a-feather performance will prove otherwise. I don't know that anyone has matched Carlo Maria Giulini in Mozart opera interpretations. It's maybe the only opera I can listen to straight through in a single sitting. When DG issued Eugene Jochum's Mozart "Jupiter" Symphony on LP in 1973, it went straight to the top of every critic's list of recommendations and stayed there for years. What's more, it's coupled with probably the best Schubert "Unfinished" Symphony ever recorded, making it a must-buy. Yet as of this writing DG have never released it on CD in America. Astonishing. If you're interested, the disc is available from Germany (in a lovely little Digipak that duplicates in miniature the original album cover). Here's another major studio oversight. Michael Rabin's performance of Paganini's Violin Concerto is the liveliest, peppiest, zippiest, most-frolicsome you'll find anywhere, yet EMI (now Warner Classics) offer it only in a big box set of Rabin's work, not as a single disc. If you want it otherwise, you'll find it on a two-disc French EMI import and on a single disc from EMI Japan. Practically everybody's favorite opera, with everybody's favorite singers. What more could a person want? I told you I was a hopeless Romantic, and what symphonic music could be more Romantic than Rachmaninov's Second Symphony, which Previn nails perfectly in what is still state-of-the-art sound. Spectacular, whiz-bang sonics from, amazingly, over half a century ago! Great performance, too. I loved this recording when I was younger, and I love it today. Thank goodness for HDTT for bringing it back to life sounding better than ever before. Just let those big bass organ notes wash over you like gigantic ocean waves. This one will definitely give your subwoofer a workout, with Fremaux offering up the most-exciting interpretation the piece has ever received on disc. The EMI disc is readily available; the Klavier, with slightly more natural sound and stronger bass, is out of print and may be hard to find. You can find this "Trout" in regular stereo on Philips or in multichannel on PentaTone. In either case, you will not find anyone doing up this enchanting music better than the augmented Beaux Arts Trio. As with all of these favorites, you'll come across other interpretations equally good, but this one with Vaclav Neumann and the Gewandhaus Orchestra, Leipzig, has always struck me as among the more mellow and rewarding. Not generally considered one of Richard Strauss's better works (too picture-postcard cute for some listeners), I find it the most pictorial of all his tone poems and endlessly entertaining, especially in the hands of Rudolf Kempe, either with the Royal Philharmonic or his later version here with the Dresden Staatskapelle. Mercury's sound holds up remarkably well after all these years, and the performance is unmatched in the complete ballet. The folks at Sony finally remastered Bernstein's classic 1958 Columbia recording, and it sounds splendid. You'll find no better a recording of this familiar score. Probably the most fun music of the list, and again done up in well-aged state-of-the-art sound. This was the first recording of any complete classical work I ever bought (eighth grade, 1958). I must have been the first (maybe the only) eighth grader in the country to own it (I don't know what possessed me to buy it on the first day RCA released it; I must have read about it somewhere), and I have since bought it in half a dozen other formats, culminating in a JVC XRCD24 audiophile remastering. The regular RCA disc is still plenty good enough, though. Also La Vida Breve: Introduction and Dance. Ernest Ansermet, Orchestre de la Suisse Romande. LIM XR24 014. 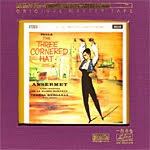 Manuel Maria de Falla y Matheu's ballet The Three Cornered Hat, a lighthearted tale of attempted seduction, contains some of the most colorful music you'll find coming out of Spain, and Ernest Ansermet's 1961 Decca recording of it contains one of the best all-around performances and some of the best sound the music has ever received. This is not surprising, though, as Ansermet premiered the work in 1919, and Decca was in 1961 at the peak of its recording prowess. The recording has been an audiophile favorite since the very beginning, but my trouble was, I hadn't heard it in many years, my one and only experience with it being on vinyl at a friend's house, where I thought it sounded hard and glassy. Now I discover it was most likely more the stereo system's fault than the recording's, because this new LIM XRCD/24 remastering shows it to be splendid. From the very opening notes, you'll find yourself amazed at how well such an old recording can sound. This should come as no surprise, though, as I say. Audiophiles have known it for years. The dynamics, frequency range, and stereo spread are wide and the sonic impact is strong, yet the sound retains a realistic sense of warmth and balance as well. By comparison, the equally good Dutoit Montreal performance on a Decca digital sounds lighter, less substantial, and, yes, harder and glassier. Go figure. Certainly, the LIM remastering by engineer Paul Stubblebine and producer Winston Ma is meticulous enough to maintain all of the master tape's most subtle as well as more overt qualities, and the result, though fairly expensive, is enough to make one look forward to all such remasters from this source. In the meantime, enjoy The Three-Cornered Hat and its companion piece, the brief "Interlude and Dance" from La Vida Breve. They are both of them the best you can get. Also Capriccio and Three Poems by Walt Whitman. 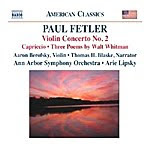 Aaron Berofsky, violin; Thomas H. Blaske, narrator; Arie Lipsky, Ann Arbor Symphony Orchestra. Naxos 8.559606.
Who's Paul Fetler? I hear some of you asking. It's hard to keep up with all the modern composers who dot the musical landscape these days, even though Mr. Fetler (b. 1920) has been around for quite a long time and gained a sizable following. He's one of those contemporary composers who isn't afraid to reach out and touch an audience rather than bludgeon them with heavy-handed, often experimental noise. As such, his music is easily accessible and highly enjoyable. 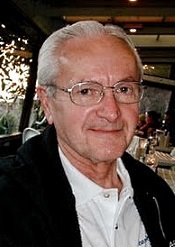 Fetler, a Professor Emeritus at the University of Minnesota teaching music composition describes his compositional approach as "progressive lyricism" or expressively flowing melodies. Certainly, the three works on this 2009 Naxos disc reflect his lyrical style. The program begins with Three Poems by Walt Whitman (written to commemorate the U.S. Bicentennial in 1976), musical settings for some of the great American poet's words, with a narration by lifelong Whitman scholar and Ann Arbor attorney, Thomas H. Blaske. The three selected pieces represent the tranquil as well as the outgoing sides of the poet, from "I am he who walks with the tender and growing night" to "Beat! Beat! Drums!" to "Ah, from a little child." If you like Whitman, Fetler does his lines justice. Next is the single-movement but infinitely varied Capriccio (commissioned as a dedicatory work for the opening concert of the Minneapolis Chamber Symphony in 1985), a wonderfully light, playfully upbeat little set of ditties that make an appropriate contrast to the more-serious tempers of Whitman. Things conclude with the showpiece of the album, the Violin Concerto No. 2 (1980), which the composer characterizes as a "labor of love," meaning it was not a commission and he was under no deadline to complete it. The opening movement has a vaguely dark, foreboding, Eastern-European cast to it, which quickly opens up to a sunnier, more-inviting mood. It is poetically graceful, reminiscent of the more-placid elements of Enesco. Aaron Berofsky's violin passages dart nimbly amongst a whole bevy of attractive tunes, becoming quite dramatic by the close. In the second movement Adagio the tone turns more to Debussy in its atmospheric reverie. Then, the final movement takes the work out with a bang, Berofsky keeping his violin in constant motion. The performers seem to be enjoying themselves immensely, and it's all quite agreeable, as is Naxos's sound. It's the kind of sound that my late dear friend Nate Garfinkle might surely have characterized as "sweet." It's not exactly a state-of-the-art audiophile recording, but it does come across as pleasantly realistic, with a natural sense of orchestral depth and presence. While the deepest bass, the widest dynamics, and the strongest transient impact may be slightly wanting, the overall sonic impression is velvety smooth and pleasing. Neville Marriner, The Academy of St. Martin-in-the-Fields. Decca Originals 475 8237. It's surprising, isn't it, how sometimes the simplist tune can become a hit, then a classic? Take Samuel Barber's little Adagio for Strings, for instance. It started life as the slow movement of his String Quintet, and in the late 1930s he arranged it for string orchestra. It became an instant success, and it has been popular ever since; yet it is really nothing more than a single brief passage repeated several times in several different ways. The Adagio has never sounded more beautiful than under the direction of Neville Marriner and the Academy of St. Martin-in-the-Fields, back in the days (1976) when they were still hyphenating their name and doing their recordings for Argo. This Decca Originals brings together the Academy's acclaimed album of short, twentieth-century American works, which also includes Charles Ives's Third Symphony, Aaron Copland's Quiet City, Henry Cowell's Hymn and Fuguing tune No. 10, and Paul Creston's A Rumour. Marriner and the Academy play them straightforwardly, incisively, without a hint of sentimentality or undue exaggeration. The Decca engineers remastered the collection in 96kHz/24-bit sound, which brings out all the detail and warmth of the music and the music making. 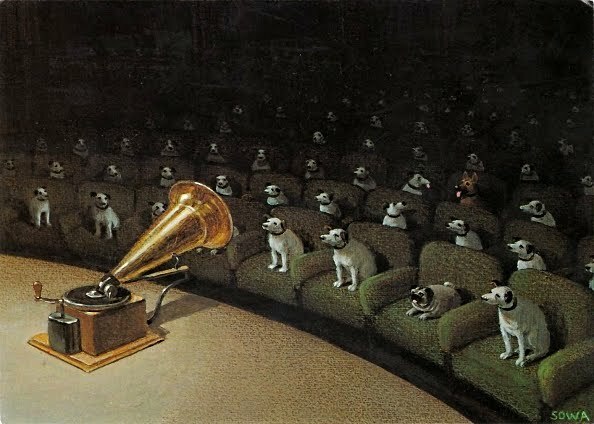 There is a very slight edge to the upper midrange, common to many Decca recordings of the day, but it is quite faint and should not present an issue for most listeners. Jean Martinon, Orchestre National de l'ORTF. EMI 0946 3 65235 and 0946 3 6524040 (packaged in a pair of two-disc sets). I mean, who else would want to hear playing Debussy? Jean Martinon was always the best in the business in French repertoire, and with a French orchestra on EMI, these 1973-74 recordings are about as good as it gets. What's more, the older we become, the more things become a bargain. 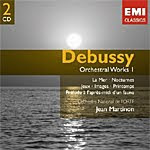 The two volumes EMI have issued include two discs each, cover almost all of Debussy's orchestral output (several of them piano pieces orchestrated by others), together contain almost five hours of music, and come at a very low price. As I say, a bargain. Things begin with the more familiar material, La Mer, Three Nocturnes, and Prelude a l'apres-midi d'un faune on disc one, along with Berceuse heroique and Musiques pour Le Roi Lear. While La Mer is undoubtedly good, it is the Nocturnes and Prelude that overshadow the others. Martinon's light, airy touch and splendidly sweet, atmospheric manner are perfect for these works. Then, disc two carries on the show with a lovely Jeux, a colorful Images, and an enjoyable Printemps. On Volume II, the first disc contains suites, Children's Corner, Petite Suite, and Dances sacree et profane, along with La Boite a joujoux. Of these pieces, the Petite Suite could not be better, a gorgeous little light-as-air wisp of a work. The final CD contains lesser-known compositions, several of them highlighting individual instruments. The Fantasia for Piano and Orchestra is actually a small concerto, and although it was an early piece and Debussy didn't care for it, it comes off as a charming reminder of things to come. The standout, though, is the Premiere rapsodie for orchestra with principal clarinet, which I had never heard before and found absolutely delightful. 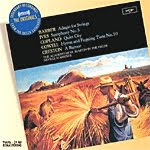 Rounding the final disc are the Rapsodie for Orchestra with saxophone solo, Le plus que lente, Khamma, and Danse. EMI's sound from French sources in the 1970s always struck me as a bit bright, forward, and thin. They seemed to lack the deep bass and warm midrange of their English cousins. So it is with these recordings, remastered by EMI France in 1998. However, although I don't think they are in the same top echelon as EMI's English recordings of the time, they do sound good, and they have an especially nice sense of depth in the orchestral field.